Marilyn Hickey, wow, has she gotten off the path to righteousness. I am continually amazed at her tactics to raise money. She has now incorporated her daughter into the ministry and has her performing the same deceptive practices against the followers as her mother has done for years. I decided to send a prayer request to her ministry to see how they would respond and I have been inundated with one letter after the other asking for money. Many of the letters come with some item or another like a piece of prayer cloth or a package of water or oil or something of that sort. Amazingly enough, the last item I received from her ministry had a letter telling me that she had set aside 3 days this summer for my personal "Supernatural Intervention". She claims God told her to do this and she set aside a set of days for this miracle. It amazes me that people continue to believe that these people can decide for God when He is going to perform His miracles. They treat God like He is some kind of monkey on a organ, telling Him when to grind and when not to. It sickens me to death to see this kind of treatment towards our God. My reconciliation for the whole mess is I remind myself that "Vengeance is mine, sayeth the Lord". I can rest assured that God will deal with these types of people when their time comes to meet their Maker! In the meantime though, we are faced with a horrible situation. Millions of people around the world are following these people like they were God themselves. They are being deceived and are in jeopardy of being led down the wide path which leads to destruction. We need to pray for these followers and for this Ministry itself that they would see the light and turn from their wickedness and follow the true God of the Bible and Jesus Christ and Him risen. Below is an article from Bill & Jackie Alnor which covers this ministry very well. Please read this with an open mind and let the Holy Spirit direct you in your decisions about this ministry. UPDATE: The last letter I received from Marilyn Hickey Ministries included a pair of "Chopsticks"! Can you believe it! A pair of chopsticks that were supposed to bring me a blessing from God Himself. I never did send any money back to the Marilyn Hickey Ministry but did send back some of the forms they requested which were supposed to be part of the miracle process. I have not heard back from their ministry in a while now so I have to assume that my special days of miracles and my healings from the chopsticks and the packet of oil are not going to work as there was no financial attachment involved. Sad isn't it? 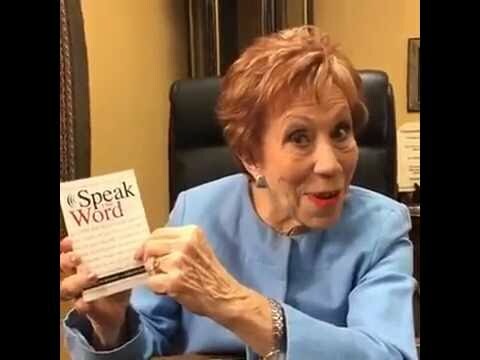 If anyone personifies the fairy godmother of the word-faith movement it is Marilyn Hickey. Although she claims to have a long track record of "decreeing things" into existence, and as she puts it, "calling those things that are not as though they are," her biblical exegesis is often faulty, and her fundraising techniques are reprehensible. The result is that she is misleading thousands of Christians worldwide to follow a distorted message that adds greed to the Gospel. Hickey’s television program, "Today With Marilyn" is seen regularly on the Trinity Broadcasting Network (TBN)1, on the Black Entertainment Television network, and on various local channels around the world. She also has a worldwide radio broadcast. Besides her international ministry based near Denver, Marilyn Hickey Ministries has offices in England, South Africa and Australia. She is also the founder of the Word to the World College, (founded in 1981, it was formerly known as the "Marilyn Hickey Bible College"), she is also the only woman on Korean mega church David (Paul) Yonggi Cho’s board of directors. She is also the chairman of the Board of Regents of Oral Roberts University. One of the keys to Hickey’s success is that she has frequently convinced her followers that she can hear from God better than they can. Throughout her writings over the years in her magazine she quotes "the voice of God" as if it speaks directly to her. Though this is not unusual within many quarters of Christianity, it is typical of many of modern day false teachers and those she has identified as her heroes, such as John G. Lake, Oral Roberts, David (Paul) Yonggi Cho, and a host of others in the Word-faith camp. 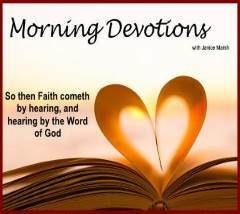 As documented in the Christian Sentinel and in other publications, the Word-faith movement is an aberrant man-centered substitute for biblical Christianity that focuses prayer on the power of the tongue instead of on God. Thus word-faith followers "positively confess" material goods and even divine health as their rights as children of God. Being that it is usually associated with Pentecostals and charismatics, it is not a careful movement that uses the Bible as its final authority. Often subjective experience is placed on par with Scripture, which has led false teachers – even those denying some essentials of the Christian faith – into taking some of the reigns of leadership within the word-faith movement. Perhaps then it is no surprise that, according to an article in Outpouring magazine, the publication of her ministry, Hickey credits William Branham as the inspiration for receiving her call to ministry (see God’s Generals review on page 13). Branham, who denied the historic doctrine of the Trinity, also laid hands on her in one of his tent meetings in 1958, Hickey’s magazine recounts. "Doctors had told Marilyn she would never have a child," according to the 1998 "special edition" issue, "but Evangelist William Branham told her that she was to go home, receive her healing, and have her baby." This "miracle," however, was a long time in coming. Ten years later her daughter, Sarah, was born. In analyzing these mailings there are two tricks of the trade that she puts into practice consistently: 1) send the people something that has to be returned in order to be affective; and 2) give a strict deadline for the readers to comply with. And of course, all of the gimmickry stands on the theory that Hickey’s faith is more anointed and powerful than the readers’ so they have the illusion they’re tapping into a direct pipeline from Hickey to God. Almost every mailing promotes the false teaching called "seed faith" that has been popularized for years by the false teacher, Oral Roberts. Basically, the seed faith concept fits neatly within the Word-faith camp. It states that if you want more riches, simply give to God’s ministries financially, and these gifts become "seeds" that can grow into more wealth later for those who contribute. Thus the motive behind giving to God, in direct contradiction to Scripture, becomes giving to God’s ministries in order to get from God. Hickey’s fundraising letters have this idea reduced to a science. They repeatedly say that none of her formulas for miracles can work unless money is sent in to seal the deal with God. After all, you can’t reap unless you sow something first, they’ll say. The appeal reads in part: "THIS IS WHAT I WANT YOU TO DO: #1) TAKE your Personal Prayer Sheet, place the palm of your right hand over the two copper pennies. We are going to use them as our miracle point-of-contact together... #2) NOW, write down today’s date in the box marked TODAY. #3) BE SPECIFIC and write in the miracle amount of money that you need... #4) WRITE DOWN any other personal areas of lack and need for which you are desperately desiring a miracle—and want me to release my faith for... #5) FINALLY. . . Search your heart, and write a check. Whatever you give, make it the BEST gift to Him that you possibly can!" Then the appeal concludes with: "HERE’S WHAT WE’RE GOING TO DO: FIRST: . . .I’m instructing every one of my prayer warriors who come in contact with your prayer request sheet to make sure that they touch it, lay their hands on it, touch the same 2 coins you’ve touched... NEXT: we’re going to form a ‘Prayer Tunnel’ of financial faith for you... it’s a powerful thing! . . . I’m believing as your request sheet passes through my ‘Prayer Tunnel’ of faith—you’ll pass through your dark tunnel of financial pressure... I really want you to hear my heart: THIS IS A VERY SERIOUS MATTER and we are not playing games with the devil...this is WAR!... Like the little widow, sow a seed out of your need!" 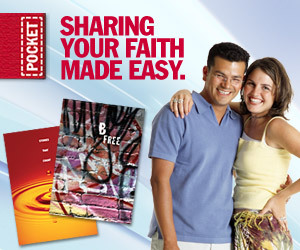 Other recent mailings include: Making a proxy seed faith gift to get an unbelieving loved one saved; acquiring a special anointed prayer supposedly written by St. Patrick that will bring "supernatural protection, provision and power"; sending back one of the mustard seeds from the packet mailed out for Hickey to join in a bottle with others’ mustard seeds to enhance her anointing when she lays hands on them; "Stop the Devil" seals that are to be placed on the bottom of one’s right shoe, along with a coupon for four additional seals to give to a friend – real power against the devil; two red pieces of string, send one back with seed money for "specific rescue miracles of deliverance; Anointing oil to dab on one’s checkbook, pillow, car, door posts and people; A paper drinking cup to insert a check into, speaking the name of Jesus as you do, and send back quickly. On just about every one of her ridiculous mailings she makes a disclaimer such as: "This is not a gimmick! This letter is being sent in direct response to the leading of the Lord in my heart!" This particular mailing being quoted dealt with the Old Testament’s poor widow woman from 1 Kings 17. She’s the one who was down to the bottom of her food supplies, and had just enough to make a cake for her and her son, but the prophet Elijah came and instructed her to make him a cake first and then her supply of food would not run out. Sure enough, the Lord increased her supply of flour and oil and she and her son survived the famine. So using that as her inspiration, Hickey mailed out a little packet of corn meal to her mailing list along with careful instructions to enable her readers to achieve the same results. She labeled the packet the "CORNMEAL MIRACLE." Her supporters are to write down their "last minute cornmeal miracle need," and pray over the cornmeal packet, wrap the packet up in the prayer sheet, and sow the seed to get the harvest. Of course, the implication is that Marilyn Hickey is equivalent to Elijah in that she must be fed before our needs can be met. Notice how the two widow women in the Bible are consistently utilized by the flock fleecers in our midst to move cash from our wallets into their ministry’s coffers. It is a well-known fact that many that contribute to ministries of this sort are impoverished. One would wonder if those two biblical widow women will rise up against those falsely using their accounts of obedience to God and heart-felt giving to justify their greed. Jesus had strong words for such evil doers who misused God’s real purposes to subvert them to their own. He said, "Woe to you, scribes and Pharisees; hypocrites! For you devour widows’ houses, and for a pretense make long prayers. Therefore you will receive greater condemnation" (Matt. 23:14). "We have known Marilyn for many, many years and have always known her to walk in some of the greatest integrity of anyone in the Christian world," write the Hunters on page 36 in their book, Holy Laughter. "Because of her sincerity and integrity... we decided to venture down and take a look at what was really going on. We were skeptical, but if this was a new move of the Holy Spirit, we certainly didn’t want to miss it." Similarly Hickey continues to work up strange manifestations at her own crusades around the world. She is defensive about her belief in the strange fire. "I have watched the Holy Spirit minister joy from one side of the auditorium to the other," she writes in her Outpouring magazine, "…very prim and proper Christians rolling on the floor, people glued to the floor until released by the Holy Spirit; people so drunk on the Holy Spirit that they staggered, unable to walk, and people frozen in trances for hours. It is way too late to convince me that this outpouring of the Holy Spirit is anything but God." Let’s look at some testimonies of people who have sought Marilyn Hickey’s anointing to see if this resembles New Testament Christianity. One woman used one of Hickey’s prayer cloths to heal her dog. "I thought, If a prayer cloth works for humans, why shouldn’t it work for my dog?" Wrote a supporter who then testified how the dog recovered the day after she put the cloth under her dog’s collar. Another woman wrote in with the same story saying that after she called into Hickey’s ministry a prayer warrior prayed for her dog and sent her a prayer cloth. "I placed the prayer cloth on my dog and two days later it was completely healed," she wrote. And she got a bonus: "As a result of this miracle, my husband accepted Christ,"
So Marilyn Hickey describes her own ministry as something that is carried about by spiritual wind and waves. The apostle Paul warned Christians not to be "tossed to and fro and carried about with every wind of doctrine" (Eph. 4:14). Peter used the same typology when he warned about the false teachers that would be among us who are "wells without water, clouds carried by a tempest" (2 Pet. 2:17). So upon close scrutiny the Marilyn Hickey Ministries is a monument to a woman who sees herself as a great prophetess of the latter days. Her roots run deep in the "Seed Faith"/Word-faith" and lying signs and wonders movement of today. On the surface her television and radio persona is that of a nice, sweet, Bible teacher who can quote scripture better than most of her male counterparts. But her Bible knowledge only condemns her more because she should know better. "To whom much is given, much is required," Jesus said in Luke 12:48. She has now passed her "mantle" onto her daughter, Sarah Bowling, in the same way Hickey’s role-models (Oral & Richard Roberts, Paul & Matthew Crouch, Kenneth Hagin Sr. and Jr.) have done with their sons. The legacy continues. . .
3 See the Christian Sentinel’s previous works on the "holy laughter" movement available online at http://www.cultlink.com. During some meetings participants have been known to act as if they were drunken, while others have demonstrated bizarre behavior such as barking like dogs, roaring like lions, while others have allegedly been "frozen" on the floor, unable to move for hours. The Christian Sentinel staff is unanimous in considering this movement unscriptural and perhaps demonic.